Ever heard the phrase, ‘All politics is local’? 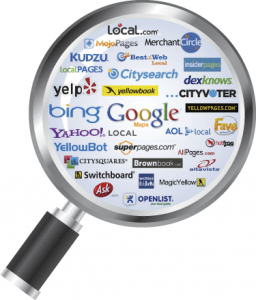 Well in the world of internet marketing, All search is local. If you’re looking for a way to increase revenue for your business, it’s important to leverage the power of local search marketing. When it comes to beating out your local competition knowing what tools to use and how to measure your efforts are key. Any type of search optimization requires the use of some keyword research and analysis techniques. This is especially true for local search marketing. The first step is to establish your baseline. Start by measuring how your site ranks for specific keywords you would like to target for your business. This can be done using one of several tools available online (like SEO Centro Rank Checker or SEO Book’s Rank Checker for FireFox). Next, document the inbound links currently pointing to your website using Google Webmaster Tools. Be sure to check alternative search terms for your business through various names, contact information or location details. We recommend creating a spreadsheet to make tracking your findings, efforts and successes that much easier. As you search and locate directories you’d like to target, copy and paste links and add notes or other details to help keep your research organized. Make sure you are submitting to the directories you come across where you do not already have presence. A time saving tip is to use an automated service such as Universal Business Listing to cover more ground for listings. The end result of this step is generating both important SEO search abilities and increasing your visibility online so local customers can find you. There are plenty of methods you can use to your advantage to improve local search effectiveness. At the very least, it’s a good idea to verify your presence on Google Places, Yahoo Local and Facebook Places. Link building is also a tool that is crucial to creating presence and increasing visibility. Try identifying local bloggers, colleagues, customers, and vendors that you respect (and want to be associated with) that are willing to exchange links with you. By utilizing patterns set by your local competition, you can find geo-specific key terms or words. Keep in mind building links can also be done by performing tasks such as blog posting, utilizing your social media networking links and posting content on sites that are related to your business or the business subject. Evaluate your ability to market multiple business locations to your online advantage. If you have more than one physical location, use your optimization to enhance your WebPages with this. Doing this makes it more likely for your customers to find the location closest to them and prevents you from losing those who may not realize you have a location closer than the main one. This does involve creating individual directory entries, which is time consuming but well worth the effort. Being present online means staying active with blogging, socializing on sites such as Facebook, YouTube and leaving comments and feedback to help give you exposure. On that note, it is also important to encourage others to leave feedback. Reviews are what can help lure in business and beat out the competition. 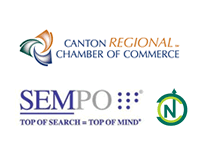 All of this should begin to help increase your traffic and earn you more local recognition.